(Sponsored Post) Many school snacks of today would have been hard to imagine even just 10 years ago. When I was growing up, most products available on campus were synonymous with indulgence. I vividly remember my mom helping with school fundraisers … I couldn’t wait for the bake sale! Today, the items available to our children at school still taste delightful—but the products’ nutritional content has drastically improved for the better. This is all because we’ve raised the bar for foods and beverages sold to students on campus. 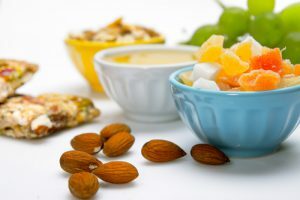 Since 2014, the USDA’s Smart Snacks in School Standards have put in place nutrition guidelines for snacks and drinks sold in vending machines, school stores, snack carts, á la carte lines and in-school fundraising, as well as for products served at celebrations and events. As a parent, I couldn’t be more thrilled. 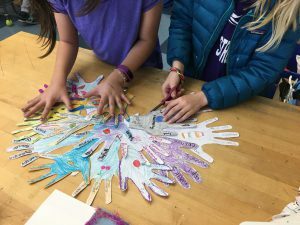 Knowing that my school is prioritizing the health and well-being of my kids is incredibly important to me, so when I need to bring in snacks for parties or fundraisers, I want to be sure that I’m supporting the efforts of my school. As a busy mom though, I don’t have the time (or the math know-how) to calculate percentages of sugar and sodium while zipping through the supermarket aisles or while frantically placing an online order in between baseball innings. That’s why I worked with Amazon Business to create the Healthier Generation Store, which features hundreds of products that meet the Smart Snacks standards. So if you need to order 30 (or even 300!) snacks for that end-of-year school party, check it out. In the wise words of my six-year-old daughter, it’s “easy-peasy lemon squeezy”. Set up your PTA’s free Amazon Business Account to access business-level pricing and easily shop for all your PTA needs. Tie your school’s Amazon Smile account to your business account to maximize your donations. The product assortment is growing by the day, so leave me a note in the comment field about what products you’d like to see added to the store! Register your PTA and shop for Smart Snacks today! Elizabeth Vegas serves as the director of business sector strategies at the Alliance for a Healthier Generation. She’s a tired mom of two awesome kids who consistently waits until the last minute to get most things done. School is out for summer! As an Alaskan, our 24-hour daylight encourages lots of opportunity for kids to stay outdoors and active all summer long. One of our favorite jokes involves parents sending their kids outside to play, and telling them to be home by dark. 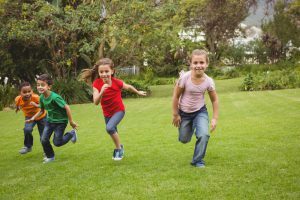 However, you might be surprised to learn that kids all across the United States, including Alaska, tend to be less active during summer vacation than they are throughout the school year. This can lead to a decrease in fitness and an increase in weight gain over the long break from school and structured activities. From August to June, we physical educators do our best to provide students with the fitness, skills, motivation, and opportunity to be active before, during and after school. Once summer arrives, too many of our students plop down on the couch for hours at a time in front of televisions, tablets, and videogames. The President’s Council on Fitness, Sports and Nutrition reports that, on average, our kids spend more than 7 and ½ hours each day in front of a screen. So, how can we keep our students healthy, physically active and meaningfully engaged during the long summer break? Parents, this is where you come in. Your children will follow your example, so make it count. After a long day at work, grab your kids and take the dog for a nice, long walk. Do you have a few days off? Plan an active family vacation, or stay-cation! This doesn’t have to be expensive. Look around your community for free or inexpensive ways to be active: Is there a local swimming hole? Plan an afternoon of swimming with a nutritious picnic adventure. Is there a new bicycle path that you haven’t yet explored? Grab the bikes and go. Do you have an old tent and sleeping bags gathering dust? It might be time to dust them off and enjoy a long overdue camping trip. Look for excuses to recognize your kids for taking initiative this summer. Did they clean up their rooms without being asked? Maybe they have helped you clean up the dishes for an entire week without complaint! Why not celebrate by taking a family trip to the local skate park, roller rink, rock climbing gym, or other active location? How can you get your older kids to play outside if you’re busy working each day? Why not put together a fun scavenger hunt for their day with a friend, which includes a bike ride or walk to a particular location, with a few peculiar items on the list to collect? Examine your community with an eye for active adventures. You might be surprised to rediscover tennis courts, playgrounds, basketball courts, and other active environments that you had forgotten in the busy-ness of day-to-day living. The truth is, when we were growing up, we often complained when we were “stuck in the house” during summer days. Being inside was “boring” and adventures were found on the other side of the front door. These days, our kids have too many indoor entertainment options that are designed to keep them in their seats and gazing at screens. We all want our kids to be healthy, fit and ready to learn when they return to school. A bit of creativity and planning can help us achieve this goal. Nancy Blake is a teacher at Goose Bay Elementary School, AK. 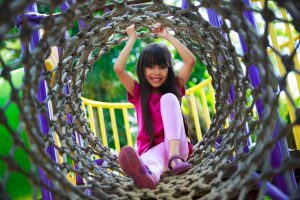 Does Your Child Have Recess Daily? The natural inclination of children is to explore their world through movement. When I visit my grandchildren, I wake up to an explosion of physical activity, rolling down the couch cushions, jumping off the toy box, or chasing games around the kitchen island. My oldest grandchild is now in all-day kindergarten. I can’t imagine him not having the opportunity to engage in both free and structured play throughout his school day. Research supports the notion that physical activity is associated with learning readiness and cognitive function (Hillman, Erickson, & Hatfield, 2017). 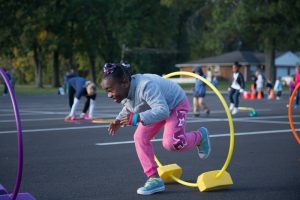 Within the school environment, recess is the vehicle for providing children with opportunities for physical activity and is an essential component of a child’s school day. Academic outcomes (e.g., attention, memory). Recess is defined as a regularly scheduled period within the school day for physical activity and play that is monitored by trained staff or volunteers. 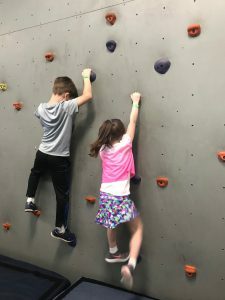 It is also is a period of time when students are encouraged to be physically active and engaged with their peers in activities of their choice, at all grade levels, kindergarten through 12th grade. Your child’s school should be offering a minimum of 20 minutes of recess daily. If this is not happening, learn about the current recess policies and practices at your child’s school and school district. You can also compare your child’s school practices with Strategies for Recess in Schools, a new resource developed CDC and SHAPE America. You can then see if there is an opportunity to get in involved in your child’s recess program and share with the school staff leading recess possible ways to enhance recess at your child’s school. CDC and SHAPE America developed a set of resources for recess to help schools develop a written recess plan and implement strategies for recess to increase students’ physical activity and improve their academic achievement. These new resources for recess were developed for school staff or school groups (including parents) to provide guidance on recess. Strategies for Recess in Schools to identify the 19 evidence-based strategies for planning and providing recess in your child’s schools. Recess Planning in Schools: A Guide to Putting Strategies for Recess into Practice to help your child’s schools develop a written recess plan. Customizable Recess Planning Template to help your child’s schools develop their own school recess plan and make it their own. Physical Activity During School: Providing Recess to All Students PowerPoint presentation to explain the benefits and importance of recess and CDC and SHAPE America’s new resources for recess at a PTA meeting or other school meeting. SHAPE America Recess Web site for recess to download additional resources that can you’re your child’s schools address the evidence-based strategies for recess. A great place to share the importance of recess and these new resources for recess is at a PTA meeting. We need parents to take a stand for creating healthy and active school environments for all students. Be an advocate within your PTA! Tell other parents about how the physical activity afforded by recess prepares children for learning and is a critical part of all children’s school day. 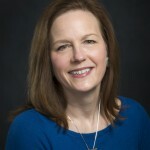 Fran Cleland is the president of SHAPE America – Society of Health and Physical Educators, and a professor in the Department of Kinesiology at West Chester University in West Chester, PA. Prior to teaching at the college level, Cleland taught K-12 health and physical education in Indiana, Virginia and Oregon. She is the lead author of the textbook, Developmental Physical Education for All Children-Theory into Practice. Sound too good to be true? It’s not! Alison Maurice from the Food Research Action Committee (FRAC) explains what the Community Eligibility Provision is, how to tell if your school is eligible, and how to advocate for CEP in your school. How are schools able to offer meals to all of their students for free? 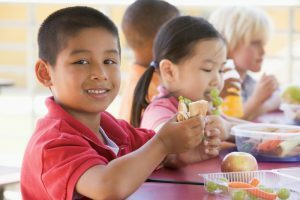 In the 2016–2017 school year, over 20,000 schools provided free school breakfast and lunch to nearly 10 million children in the United States through the Community Eligibility Provision. Community eligibility allows high-need schools and districts to offer meals at no cost to all students. 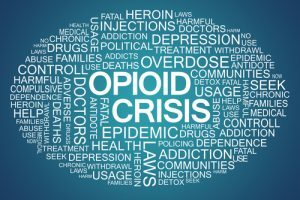 Community eligibility has only been available nationwide for three years. 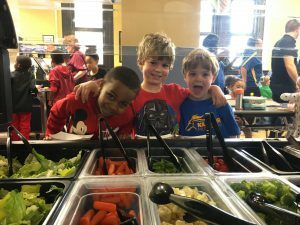 In that short time, nearly 55 percent of eligible schools have chosen to use community eligibility, because it increases the number of students benefiting from the school breakfast and lunch programs. Why are schools so eager to participate in community eligibility? Because it makes it easy to get meals to students! By offering meals to all students at no charge, community eligibility increases participation among all students which can help school nutrition finances. Additionally, schools no longer need to qualify students for free or reduced-price school meals. This saves significant time and reduces paperwork for schools, so they can focus more resources on providing healthy meals for your children. Unpaid meal fees are no longer a concern with community eligibility, which decreases stress both on parents and school staff collecting them. Community eligibility schools have increased participation in the school breakfast and lunch programs. More importantly, more students are eating a healthy breakfast and lunch, reducing hunger and improving nutrition status. School breakfast has shown to improve academic achievement, test scores, and behavior, and to reduce absenteeism and tardiness. Participating in school breakfast allows students to focus on learning, rather than their empty stomachs. 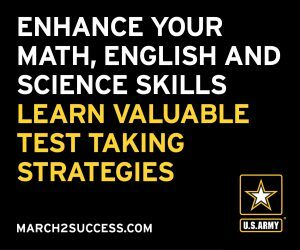 What makes a school or school district eligible? A school, group of schools, or school district is eligible for community eligibility if at least 40 percent of the students are certified to receive free school meals. 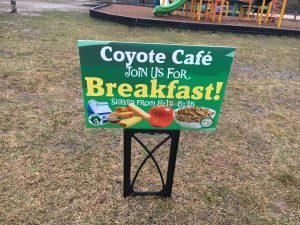 Schools identify students who qualify for free meals through other assistance program enrollment. No application is needed to be submitted by parents for schools to determine this. What can I do to help my school? On May 1, 2017, your state’s education agencies published a list of schools and school districts that qualify for community eligibility. It is easy to find out if your school or school district is eligible by using the Food Research & Action Center’s Community Eligibility Database. Here you can quickly search for schools by state and district and to determine if your school is eligible and participating or not. If you find that a school or schools in your school district is eligible for community eligibility but is not using this program, start a conversation with your school administrators and nutrition department. Let them know that you would like them to consider community eligibility. The deadline to apply to use community eligibility in the 2017–2018 school year is June 30, 2017. With these resources, you can help increase access to school meals for all students, giving them much-needed nutrition to succeed. 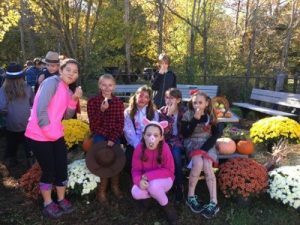 This blog was prepared by Alison Maurice, Child Nutrition Policy Analyst, at the Food Research & Action Center. For more information, feel free to email Alison at amaurice@frac.org. As tablets, smartphones and other personal technology devices play an increasingly dominant role in all of our lives, finding a good balance seems to be a tricky endeavor in many American households. Both parents and teens log more than five hours a day on their devices (outside of work and school), often during family dinners and while spending leisure time together. Many people also use these devices for hours each day with earbuds or headphones. Finding balance is critical for many reasons, including children’s communication health. Dedicated time for verbal exchange— listening, talking, reading and interacting face-to-face —is essential for young children’s speech and language development. It is critical that time spent alone with devices (even on educational apps!) does not take away from time for interaction with parents. This “talk time” is also a precursor for reading, academic and social success. The benefits extend to older children as well, whose brains are still developing throughout the teen years, as well as family relationships. Too much time on digital devices doesn’t just negatively impact communication health and academic success, it also has an effect on physical health. There has been a tremendous increase in hearing loss among children recently. Noise-induced hearing loss is a preventable problem, but once it occurs, it is irreversible. Earbud and headphone misuse can be especially problematic. Create a family technology plan—together. An agreed-upon set of rules is a good way to keep everyone on track. Schedule regular check-ins to determine whether you’re actually substituting tech time with more quality time together. Surprisingly, most teens whose parents set rules agree that the rules are fair—and parents report they work. Designate tech-free zones in the home. The kitchen, bedrooms, the family room…there may be one place in your home that you can keep devices out of, as a general rule. This helps with the temptation to constantly check your phone or jump at the sound of every incoming notification. It makes a difference to even have 30 minutes free from tech distractions. Talk instead of text, when possible. Texting offers tremendous convenience for parents to get in touch with their kids. But texting is not a replacement for verbal exchange. Tone, facial expressions and other nonverbal signals are just some of the ways in which texting falls short (and no, emojis don’t do the trick). Try to avoid texting your child when both of you are at home, as a start. Resist overreliance on technology to pacify boredom. Technology is an easy way to keep even the youngest children entertained. However, the best opportunities for conversation, learning and bonding are often found in situations that may be viewed as boring, such as while running errands or on a long car trip. 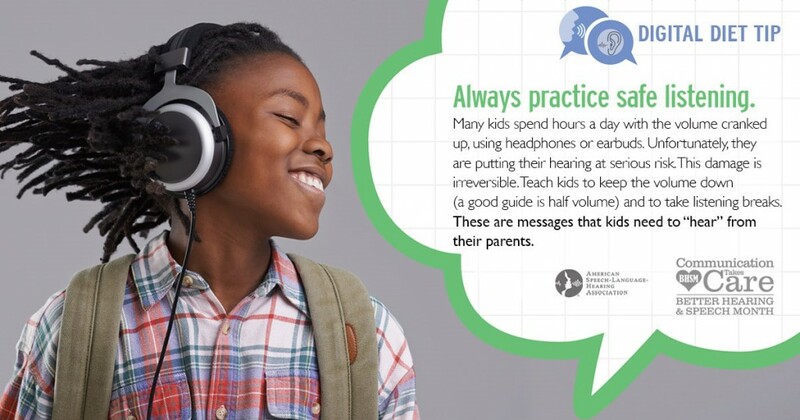 Always practice safe listening, especially when using earbuds or headphones. Teach kids to keep the volume down (a good guide is half volume) and to take listening breaks. These are messages kids need to “hear” from their parents. Remember, if you ever have concerns about your child’s hearing or speech/language skills, consult a certified audiologist or speech-language pathologist. Jaynee A. Handelsman, PhD, CCC-A is a pediatric audiologist and the 2016 ASHA president.